Ticket reader for parking S-300 is a equipment designed by i+D3 which is installed on the exit roads of the parking lot, checking the ticket has been paid and allowing the exit of the car. 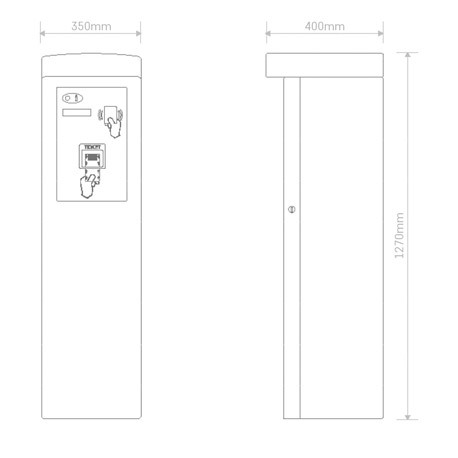 The S300 column may further reading ticket, a RFID / MIFARE proximity card reader include; and a Bluetooth module, with which users can access and exit the parking via mobile phone. 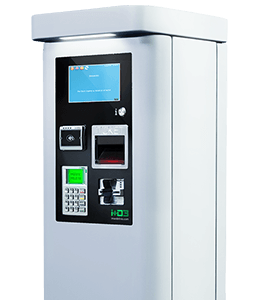 It is possible to install a Bluetooth module to allow users to enter the parking lot through their mobile, using a specific parking app. 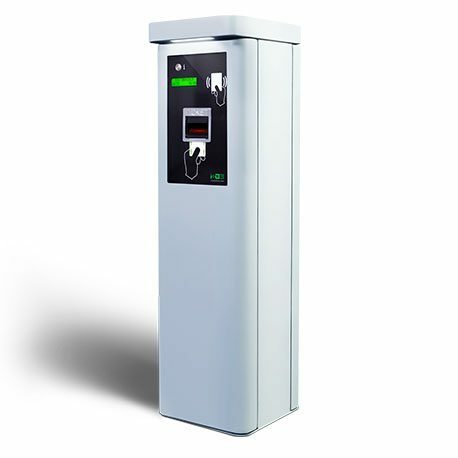 Our ticket reader column is a technological equipment which has a capacity of operation both offline and online to connect with the system, being able to choose an option or both. 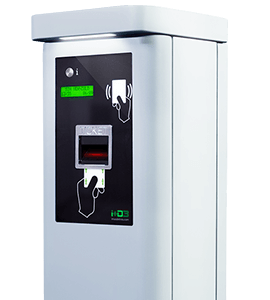 Ticket reader for parking S-300 has as optional equipment the 3LPR system, which allows the license plate recognition of vehicles that enter and leave for have a parking control. 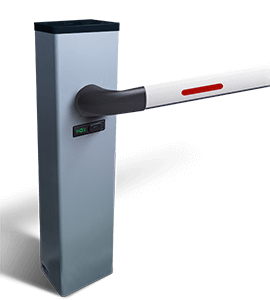 Built in steel with front and back access doors depending on model. 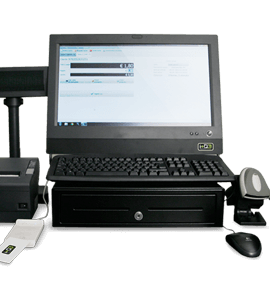 CL300-OEM: Tickets and cards dispenser / reader to integrate without readers or emitters.